I love writing. L-O-V-E it. The need to build a world, delve into a character’s feelings, create a mood, or explain a concept in a down-to-earth way (often with a bit of humor, and lots of em dashes and parentheses) has lived in me since at least seventh grade. But that doesn’t mean I always sit down and do it, even when I theoretically have the time. A deployment, a new training platform, a high school graduation, my husband’s retirement from the Air Force, and a Boston-to-Sacramento move took far more of my mental energy over the last year than I expected. I got a little off track, a little out of routine, and my word count plummeted. But now I’m out of hotels, into my home office, back on an irregular regular writing schedule, and most importantly, mentally back on track. It feels fantastic. There is nothing like finally seeing forward progress in the story—my hero and heroine finally left the damn airport!—after months of going nowhere. It's more than being productive in a way that matters to me, but being immersed in my story daily, even if just for fifteen minutes. That daily attention keeps the ideas rolling in, and makes it easier to take advantage of the small gaps in my day where I can fit in a few words, because I haven’t forgotten where my characters are. Or who they are. Writing frequently brings back the joy I had when I first started. This is a lesson I seem to have to learn over and over, unfortunately. But another lesson I’ve learned recently (also, again) is that sometimes I need to turn off the pressure valve and simply enjoy the distractions in my life. The last year has been crazy busy, but full of other moments that brought joy, some of them the last with my youngest son before he goes to college. Before we become empty nesters. Before I theoretically have a lot more time to write. Again. What gets in the way of your writing? How do you turn things around? I absolutely agree with you about being immersed in the story daily. I’ve been writing since before I can remember, and when life interrupts and prevents me from writing, I really great depressed if I wait too long to get back to it. So I force myself to do ten minutes every single day even if ten minutes is all I have. I need to visit my characters and see how their day is going. As I often tell people, if there was an off switch to this writing thing, I would have used it already. 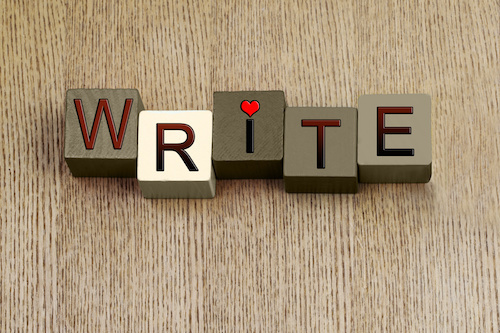 Jessie: Isn’t it funny how the less we write, the less we want to write and vice versa? I like your idea of getting something in every day, even if just 10 minutes. Thanks for sharing! What a year you’ve had, Gwen! Well, I have a lot of distractions in my life, but I’ve finally come up with a routine that’s working, at least for now. I read Deep Work, by Cal Newport and decided that the every morning, six days a week schedule works for me. I do my “deep work” between 8:15 and 11:15 six mornings a week, unless I have an appointment that takes me to a doctor in Portland. Or an RWA chapter meeting. All other appointments are afternoon. Cal Newport says that 3-4 hours of deep work a day is about what the brain can handle. You can do shallow work at other times. During the deep work sessions you do not allow any distractions. No email, social media, phone calls, etc. Full concentration on the work. When I finish my three hours, I do my Scrivener backups and close the program. That tells the girls in the basement that they are in charge of my writing until the next morning. It’s amazing how that works. After treadmill and lunch, I usually have kitchen chores to do. Since I have multiple food allergies, I have to do all my own cooking. Wednesday morning I go grocery shopping out of town to a natural foods grocery store that has the organics I need. After lunch I do food prep. Some would say I lead a dull life. The writing sustains me, keeps me going. I also have a retired husband underfoot. But he’s being much better about letting me have my mornings. I spend some time with him in the afternoon and evenings. Barbara: I love the idea of deep work. I was trying to do something similar before we moved, and am now trying to figure out my best times. My husband has been off for the last three months, and when he’s home I go into “vacation mode.” But now he’s started school, so even though he’s home, he’s busy too. Makes it easier to do my thing. I’m in the process of shaking up how I do things. As you know, I was doing a writer camp two days a week, which helped enormously, but both of my partners in it backed out recently. I may start another one, but in the meantime I want to find a way to make the most of my alone time. I’ve been thinking about a schedule similar to the “deep work” one mentioned above, but haven’t actually put it into practice yet. Just got back from a great trip to Disney with my sisters and I’m still in vacation mode. It’s time to shake that off and get busy! Maura: Sorry to hear that your writer camp has ended. I miss mine too (my fault, since I moved). Good luck finding a way to get the writing done on your own. I enjoyed your Disney photos! Being away from my WIP for more than a day or two hurts. And it doesn’t just hurt my heart, it hurts my momentum and forward progress. I’ve never experienced this in any other creative pursuit–design, painting, photography–like I do in writing a novel. When I see that you’ve tagged this “joy,” I’m so happy for you, Gwen! So true, Jann. My momentum always suffers too. I was on the road all weekend for family things and didn’t look at my WIP at all. I could feel the unease building, so I made sure I at least did some brainstorming so I’d have a good idea where to pick up when I got back to it. Thanks! !